If you’re looking for tutoring jobs, you may be in luck. Tutoring has become a multi-billion-dollar industry, and expert tutors are often in high demand. These days, you can even get jobs on Twitter. •	A tutoring center—such as Kaplan or Sylvan Learning Center—will provide tutoring clients, manage the schedule, collect payment, and (usually) provide an office. The down side? They take a cut of the tutoring fees. Some tutoring centers may send you to do home tutoring, which will likely require you to drive; you may not be compensated for travel time. If you’d like to work for a tutoring center, these are issues to explore ahead of time. A tutoring center is a great place to get experience and build your credentials, and for many tutors the stability of these tutoring jobs is worth the few drawbacks. Rates: In an urban area (such as San Francisco), expect to make $20-$40 per hour at tutoring jobs depending on your area of expertise. You probably won’t get benefits, and prep time may not be included in your fee. Rates: I received $19.22 per hour, 25 hours per week during the school year. A good rate, but remember—this is a union job in a major urban area. •	Because that position was part time, it allowed me the flexibility to become a highly paid private tutor. The upside was that I got to keep all my earnings and was always free to accept or refuse a job. I also had to learn to Rates: A few years ago, I routinely charged $80 per hour in San Francisco for writing tutoring (I had just gotten my master’s degree, FYI). That rate included my travel time to a student’s home. Advanced math and science tutors charge more--$100 per session is common. Experts in college admissions can get $125 and up, but you’ll need great testimonials and true expert status. If you’re willing to manage the business end, private tutoring can be a great job. •	In my experience, online tutoring is much less lucrative than in-person one-on-one support. That's because brilliant tutors all over the world are available online, and many live in countries where $10 American dollars is a lot of money! I once applied to a place that only wanted applicants with master’s degrees and doctorates. (This must be a great gig, I thought. Wrong!) They offered me the job, and little more than the American minimum wage. Not a good fit for me, but a great fit for someone in a different part of the world. At How to Teach English in Japan, readers get the straight story on getting a great teaching position in Japan, plus information about living and traveling Japan. 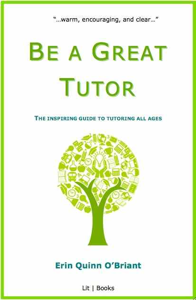 This site is full of information for tutors, excerpted from my forthcoming book, Be a Great Tutor. Visit the Tutoring Techniques page to get started. Click here to see my take on tutoring rates for parents and students. Want to work on your computer? Learn more here. Interested in teaching abroad? Find out more. People like tutoring jobs online. Wow--the global tutoring market is booming.